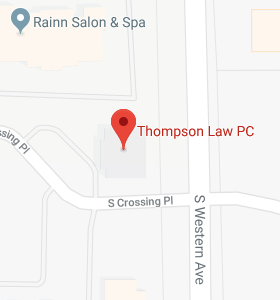 Estate Planning: It’s Not Just About the Estate Taxes - Thompson Law, P.C. When we plan our lives and our estates, it’s not all about the estate taxes. Of course, estate taxes should be taken into consideration, but there are many more important factors. That’s why the temporary doubling (until the end of 2025) of the amount which can be passed free of estate tax (to $11.18 million in 2018) does not remove the need for estate planning. Whether the exclusion amount is $5.59 million or $11.18 million is irrelevant to the vast majority of people. Incapacity: The plan should prepare for your incapacity, not just for your death. It’s increasingly likely that the average person will experience one or more periods of incapacity during their lifetime. A trust can allow for the seamless management of assets during those periods of incapacity. Management: The plan should consider the need for the continued management of the assets after your death. If the beneficiaries aren’t of sufficient age or maturity, the assets could continue in trust for their benefit. Divorce Protection: The plan should consider the potential need for divorce protection for the beneficiaries. Nearly half of marriages end in divorce. Even if your beneficiary appears to be happily married now does not necessarily mean divorce protection is unwarranted. Asset Protection: The plan should consider whether the beneficiaries will have creditor issues. For maximum asset protection, the assets for the beneficiary can be left in a fully discretionary trust with a third-party trustee. Long-Term Care Planning: The plan should consider your potential need for Long-Term Care in the future. At a minimum, it should provide for the flexibility to do the planning upon your incapacity, if the need arises. If appropriate, your plan could protect some of your assets from exposure to Long-Term Care expenses in the future. Beneficiary Designations: The plan should coordinate beneficiary designations with the overall plan. Let’s say you intend to divide your assets equally among your three children, Johnny, Susan, and Mike. You have a home, valued at $500,000 and $1,000,000 in other assets. You draft a Will and Trust to divide the assets equally. But, you have a beneficiary designation on your home. That designation sends it to one of the children, Johnny. Unfortunately, the beneficiary designation will thwart the plan. This would result in Johnny getting the house and 1/3 of the other assets, or $833,000, while Susan and Mike would each get only $333,000. If you intend to divide the value between your three children, you could transfer your home to the trust and then divide your assets among your three children. This would accomplish your goal. Special Needs: If any beneficiaries have Special Needs, the plan should consider whether the preservation of needs-tested benefits is desired. If so, the plan should leave the assets to the Special Needs beneficiary in a suitable trust. IRAs/ Retirement Plans: IRAs and Retirement Plans are an increasing portion of wealth. Whom you choose as your beneficiary and how you designate them will dictate how rapidly they will be required to withdraw those assets (and pay taxes on them) after your death. If you designate a trust as beneficiary, you could obtain asset protection for the assets, depending upon the trust’s terms. The plan should take this into consideration. Income Taxes: The plan should consider the impact of the beneficiaries’ income tax brackets. For example, a Roth IRA (which is income tax-free) may have significantly more value to a beneficiary in a higher income tax bracket. A traditional (income taxable) IRA may be better to leave to a beneficiary in a lower income tax bracket, because the income taxes would diminish it by less and the after-tax value would be greater. Property taxes: The plan should consider the impact on property tax value of giving the property to different beneficiaries. Some states freeze the value of certain property for local property tax purposes. In some states, if the property is inherited by the owner’s child, the child may also keep the owner’s property tax basis. This may result in much lower property taxes on an ongoing basis. Of course, this may not matter if the beneficiary is not going to retain the property. The amount which can be passed free of estate tax was recently (though temporarily) doubled. However, estate taxes are only a small part of estate planning. There are many other considerations which are just as important as ever.